Brexit talks have hit a brick wall. That's the assessment offered by chief European Union negotiator Michel Barnier as the fifth round of negotiations concluded on Thursday. "We've reached a state of deadlock, which is very disturbing," said Barnier. 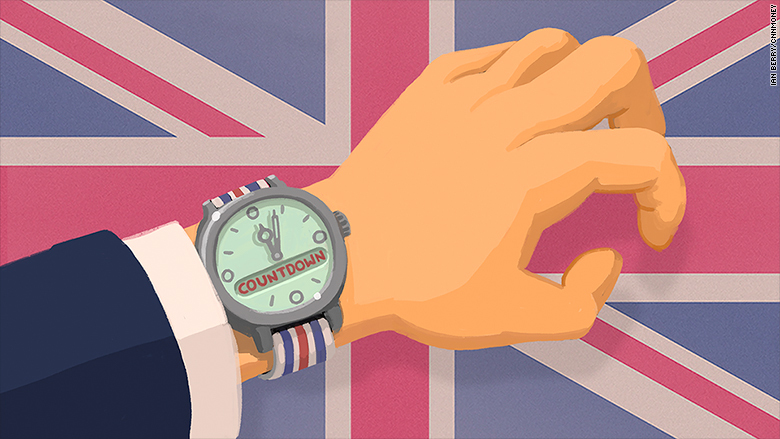 Investors reacted to the stalemate by sending the British pound 1% lower against the dollar. Barnier said that discussions with his British counterpart, David Davis, had failed to produce progress on the key issue of how much Britain should pay to leave the EU. Prime Minister Theresa May has said she would honor financial commitments the U.K. made while a member of the bloc, but Barnier said Thursday that her words have not translated into a specific monetary offer from British negotiators. Barnier warned that thousands of EU projects would stall and taxpayers would suffer if the divorce bill is not settled. Davis said that "significant progress" has been made in the nearly seven months since Britain started the clock on its departure from the EU. But there have been no major breakthroughs on the rights of millions of citizens who have crossed borders to settle in Britain and Europe, or how to deal with the contentious land border between Ireland (in the EU) and Northern Ireland (part of the U.K.). The EU says that sufficient progress must be made on the divorce bill, citizens' rights and Northern Ireland before future terms of trade with Britain are discussed. Goods and services worth over £500 billion ($656 billion) a year are currently traded between the two parties. 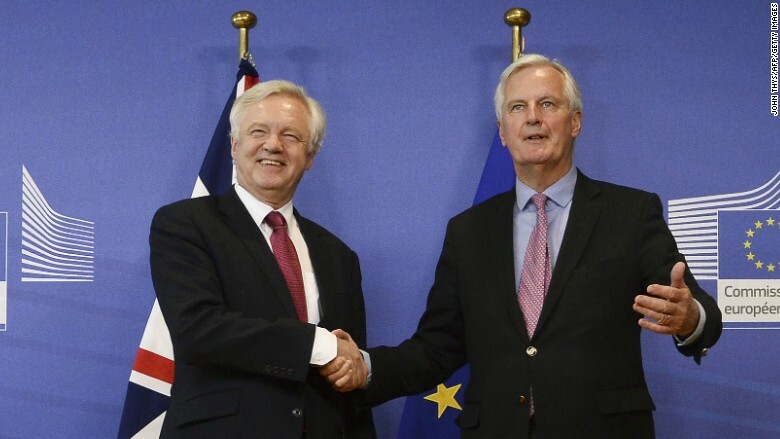 David Davis leads the negotiation for the U.K. while Michel Barnier represents the EU. Negotiators have until March 2019 to finalize a deal. But public disagreements between members of May's cabinet about the best path forward have raised concerns in recent days that no agreement will materialize before the deadline. If no deal is struck, it would cost more for British businesses to trade with the EU. There are serious concerns about the ability of the country's aviation and nuclear industries to function properly if Britain departs without signing new treaties. Banks and financial services firms based in Britain plan to mitigate the danger by shifting thousands of jobs and operations to the EU to ensure they can continue to do business with the EU's 27 remaining members. A "no deal" scenario would cost the British economy £400 billion ($525 billion) by 2030, according to research published Thursday by Rabobank. The weaker economic growth equates to £11,500 ($15,100) per British worker. The EU would also be deeply hurt without an agreement. Negotiators are trying to strike a deal before Britain leaves the EU in March 2019. Businesses are now clamoring for clarity. More than 100 companies including Ford (F), GM (GM) and IBM (IBM) wrote to the top negotiators last month urging the two sides to agree a transitional period of up to three years to give them time to adapt to Brexit. May has said she supports a two-year transition. But businesses say she must do more to end confusion over Brexit. "Public disagreements between cabinet ministers in recent weeks have only served to undermine business confidence, not just on Brexit negotiations, but also on the many issues where firms need to see clear action from government closer to home," Adam Marshall, director general of the British Chambers of Commerce, warned in early October.